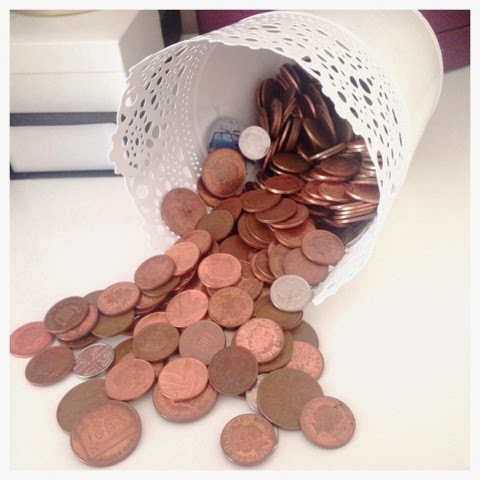 With my house move coming up, and a baby on the way, it's about time I start budgeting better! Sam is really good at budgeting and saving - but me, I'm not so great. So I thought why not take you on my little learning curve too! I'm usually a impulse buyer, However I am starting to stop and question myself. 'Do I need this?' or 'Will I use this?' as much as I hate to admit it, Sam is the one who started putting these questions in my head, Sometimes I will pick stuff up in a shop, and he will just look at me as if to say 'really? again?'. I think it helps having him there when I go shopping, he's saved me a fortune since we've been together. This is something we already do, and i have a upcoming post about this, so I'm not going to talk much about it. I know it sounds like a lot of work, but I have honestly found it so useful! Planning your meals a week ahead give's you the ability to slash the cost of that pesky grocery shop! Especially with the cost of food constantly rising, it helps to save the pennies where you can! shopping online can be dangerous, I am well aware of this, but it is what works best for me, I find if I'm shopping online I stop and question my purchases before clicking checkout. Where as when I pick it up in a shop, I buy it, and get home and regret it! Plus who doesn't like receiving packages in the post? I think The over advantage to grocery shopping online, you can go and look over your basket again before purchasing. This way you can take out those pesky deals you don't actually need or want out, and make sure that you've got everything you need. I bet you even save some money! I don't have any saving's at the moment, I'm not a saver because i have never had a reason to save, until now. I don't have a car, I don't drive, therefor I haven't needed to save. I have always thought 'money comes and goes, It isn't everything'. I still happily stand by this, however I don't actually I don't completely agree anymore. I have baby E to think about now, Christmas, Birthdays, Family holidays that we're going to have to save to be able to afford. If i see money building in the bank, i'm to tempted to spend it. However that urge is becoming less and less. I found the one thing that does help me is having a basic bank account. I do have a normal current account to. But the advantage of a basic bank account is its basic, You can withdraw money from a ATM, I can transfer money in and out, but you can't pay by chip and pin. This stops me spending in shops, I have never really been tempted to go to the ATM and withdraw the cash for a item. I usually just think whats the point. The other thing I also do is save all my change in a pot. When we go on holiday (UK based), I can't help but play the 2p machines, I've said it before, and I will say it again, I'm addicted! It also helps save weighing down your bag! When shopping online I always use cash back websites like Quidco. If you purchase your items this way you can earn back a small percentage. It may only be small, but it soon adds up, you can also earn money with the quidco app, simply download it on your smartphone, and when your out and about, Check in at stores, and they will reward you with maybe 10-20p, I know this is only a small amount, but like I said it's really important you remember these little pennies soon add up to pounds! if your already shopping online, check for coupons, you might find ones for the product your looking at purchasing. There is also printable online coupons. When you recieve coupons in the post from say Tesco, keep them, make sure you look through them and use them. However if you wouldn't normally buy that product, don't be dragged in just because you have a coupon. Don't settle for the price you first see, Shop around! guaranteed you will probably find the exact same product on another website cheaper! Also check for price matches, some companies love to keep up with others, so if you find it cheaper somewhere check out to see if they price match it. If you are going to price match, make sure you read there policy first! As I said at the beginning of this post, this is a learning process for me. 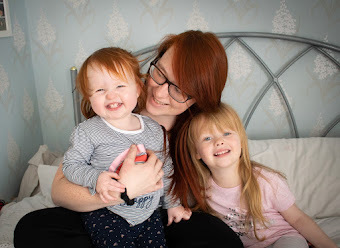 IF you have any top tips that help you, leave it below for me, and if you've written a blog post about money saving, feel free to leave the links below and ill check them out! Great post - I love meal planning, makes life so much easier and saves money. I nearly always do my grocery shopping online and check back over my basket to remove anything that I really don't need if it is a bit too expensive. It helps reduce any impulse buys as well! The other thing I do now is use a financial planner app on my phone and keep track of what I spend on a day to day basis - it's made me think more about the tiny little purchases that I make when out and about that all add up very quickly and helps me stick to my budget.